MagiCalibrator | 2-dimensional Dental X-ray Tool – Strauss Diamond Instruments Inc. 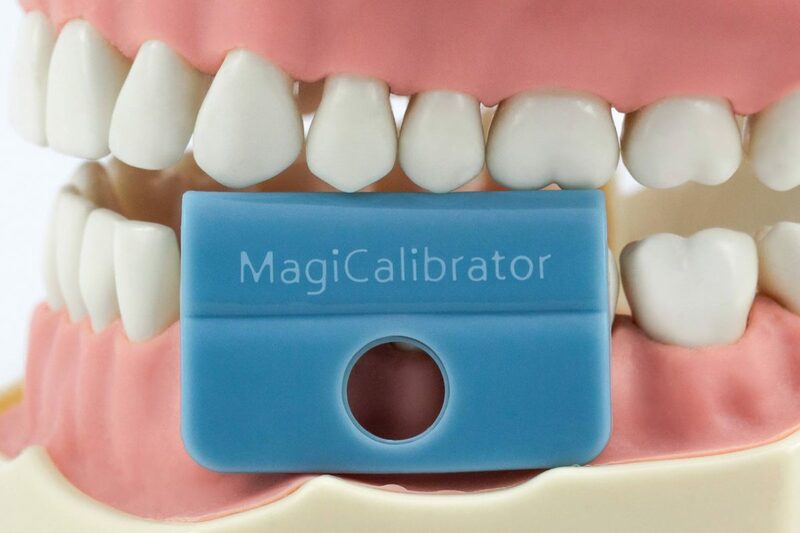 The MagiCalibrator is a patent pending silicon intraoral device with an embedded 10mm stainless steel ring that can be placed in the field of view (FOV) when taking two-dimensional x-rays, as in digital panoramic imaging. 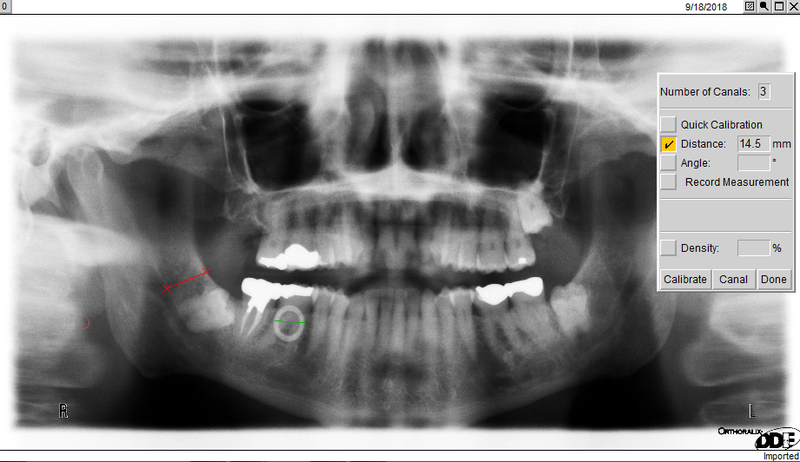 In the x-ray image, the 10mm ring appears as an opaque body of known length, thereby facilitating the calibration function of the radiographic software. With this calibration, any distance between two points on the x-ray can be precisely determined. This is especially useful when planning implants. A properly calibrated radiograph enables one to accurately measure the distance from the crest of the bone to vital structures such as the mandibular canal, sinuses, or foramen. One can also determine the space available between the existing teeth, making it possible to predetermine the length and width of the implant needed to restore the case. For doctors who lack access to CBCT with advanced implant treatment planning software, this 2-dimensional solution takes the guesswork out of selecting an implant’s size and performing the resulting osteotomy. Because the x-ray is time stamped and saved with the MagiCalibrator ring in the image, and because the radiographic software preserves all calibration measurements to facilitate subsequent remeasurement, the MagiCalibrator also provides an additional layer of risk management support: it would be impossible to allege with any plausibility that the doctor had simply guessed about the relevant measurements for the procedure. In the past, creative dentists have followed medical practitioners in using 5mm stainless steel balls to calibrate their x-rays. However, the mouth is an especially difficult place to insert a tiny ball without risk of the patient swallowing it—or, worse yet, breathing it in. To get around this, dentists have experimented with taking impressions and pouring a cast to secure the stainless steel ball in an essix type retainer, or with squirting the vestibule full of messy bite registration material and embedding the ball during setting. 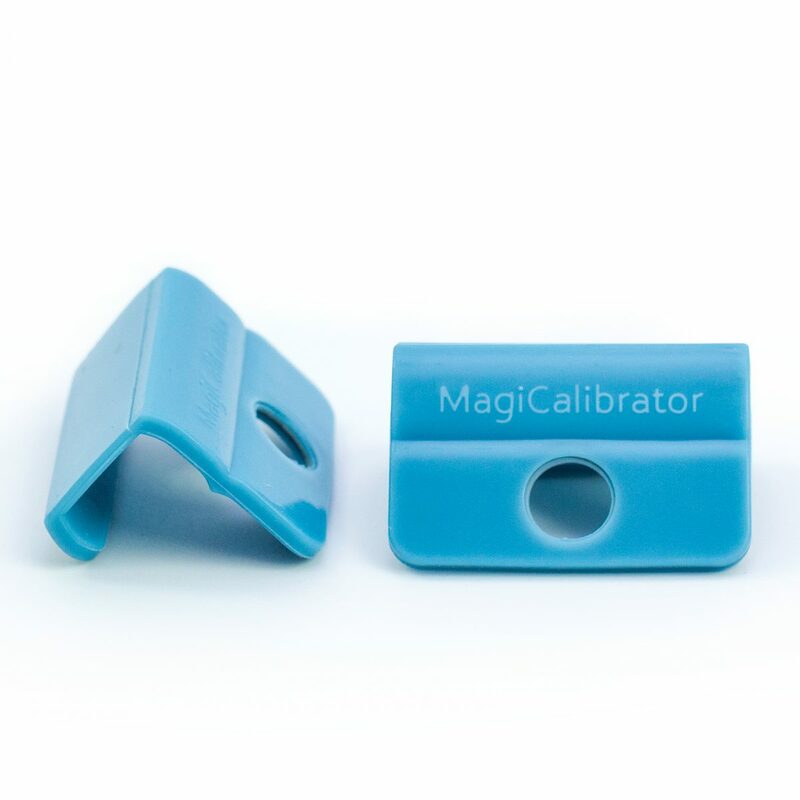 The MagiCalibrator eliminates the need for such cumbersome and time-consuming techniques, giving patients the streamlined experience that they expect when having an x-ray taken. The MagiCalibrator’s saddle-shaped body is simply placed over the remaining teeth near the area where the implant is planned, the patient is placed in the head positioner, and the x-ray image is captured. The entire process is no more complicated than that, and it takes just seconds to perform. After each use, the MagiCalibrator can be sterilized and reused again and again. 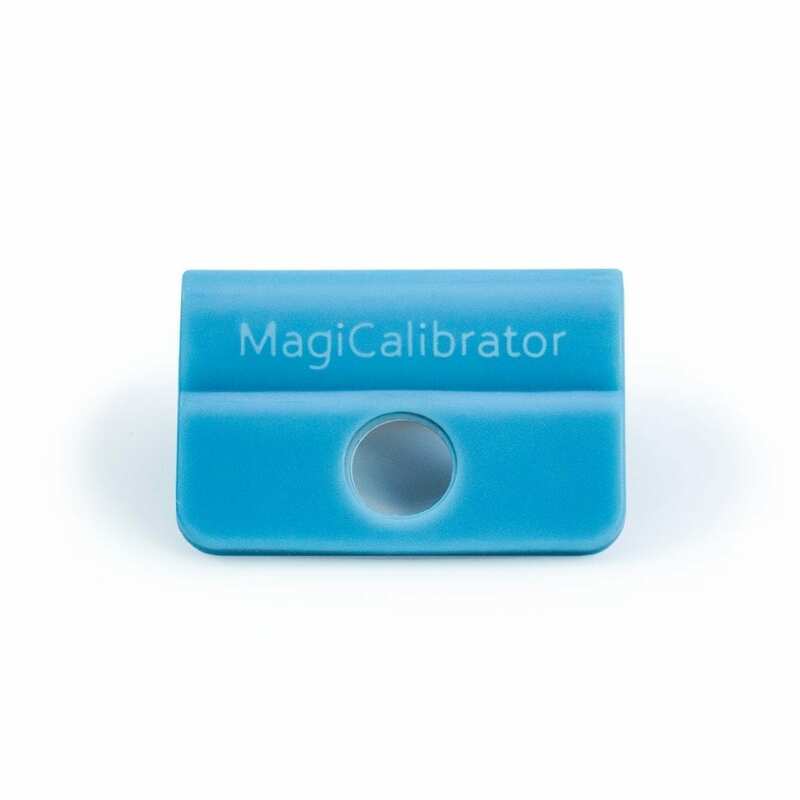 The MagiCalibrator features a metal ring embedded inside an elastomer body. The outer diameter of the ring is 10mm. DO NOT USE if the MagiCalibrator has been bent, broken, torn, or damaged in any way. This is a prescription device intended only for professional users. The producers and sellers take no responsibility for any outcome of the clinical use of the MagiCalibrator.